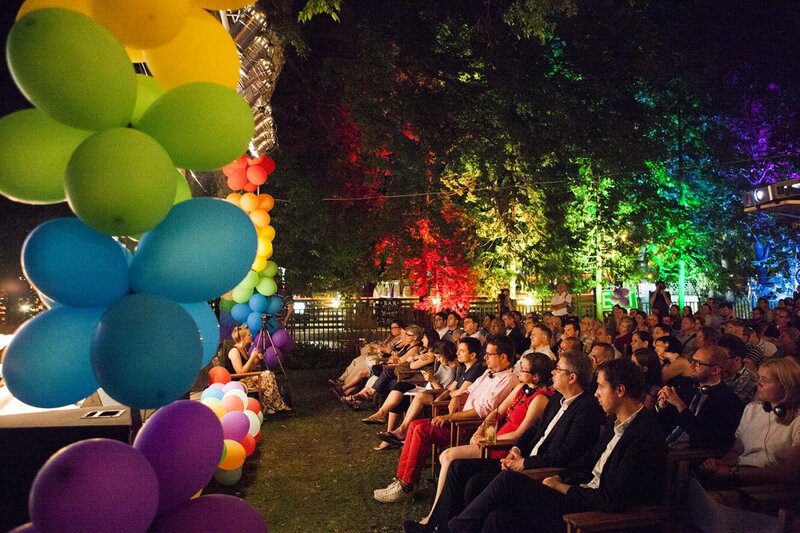 On June 24th, 2016, the 21th Budapest Pride Festival begins with the official opening ceremony. The slogan of this the festival this year, “We complete it!”, calls attention to the fact that the diverse communities of society can only be complete with us. Those communities that are subjected to oppression, like LGBTQ (lesbian, gay, bisexual, transgender, and queer) are unquestionably part of society. Our slogan also sheds light on the fact that only with joint effort, as a community, can we act against the power of oppression. This is why this year we began to conduct a large scale survey with the aim of finding out what LGBTQ members consider important. The processed results up till now of the thousands of participants show that our community is appalled by the political discourse promoting exclusion, and they wish to act against the narrowly defined family- and marriage concept. All the events of the 10-day festival are designed to showcase the diversity of the LGBTQ community. More than 50 events hold a surprise or two for first-timer festival-goers and old participants alike. The official opening ceremony will be held on June 24th, 2016 (Friday) 8:00 PM. Location of this year’s ceremony will be the New Orleans Club. The opening speech will be held by Tibor Noé Kiss, writer. Further speeches will be made by Kristóf Steiner, journalist, media personality. Adrienn Molnár, member of the LGTBQ Community of Pécs, and Szilvia Nagy, Board President of Rainbow Mission Foundation. Vera Jónás and Antonia Vai will be performing at the event. The first weekend of the festival is mostly dedicated to sport events and rainbow-families. For the adventure-loving, we suggest the Run for Rights competition, and for culture-lovers, our Night of the Museums event co-organized with Ludwig Museum might prove to be attractive. Naturally, the next week continues to be full of exciting events: our programme offers several theatre performances and dances. We have also organized new programmes: for the first time this year, we have launched a song writing contest called Play it Proud, which also includes a charity concert. The Pride-week begins with an exhibition called #gendercraze, which addresses the offensive political discourse subjected at women and members of the LGBTQ community. Of course, we have not forsaken out traditional programmes either: Open Mic, Charme dance, and LGBTQ pub-quiz are still catering to the needs of those interested. Naturally, talks and discussions are still a priority. LGBTQ organizations from the country will present themselves, talks will be held on gender roles and asexuality, and there will also be a debate, where participating groups can match their knowledge on LGBTQ matters and compare their debate techniques. However, highly anticipated parties are also among our offer. The Opening Party is on June 25th, while on July 1st, Women’s Pride and Alterego clubs are expecting those wishing to relax and dance. After the March, the biggest LGBTQ party of the year, the Rainbow party awaits everyone! This year again the highlight of the festival is Budapest Pride March held on July 2nd (Saturday): from the meeting point at the crossing of Andrássy and Dózsa György road, the march will reach the destination where we can express our displeasure, indignation, and state our demands. Follow our Facebook page and our website, where you can look for the programmes you consider most exciting and find updated information. The event booklet of the festival is soon available. See you next week!